This is a frozen fruit salad made with miniature marshmallows, fresh and canned fruits, whipped cream, and a small amount of mayonnaise. Pecans add crunch to the salad, and the cherries and grapes make it colorful. 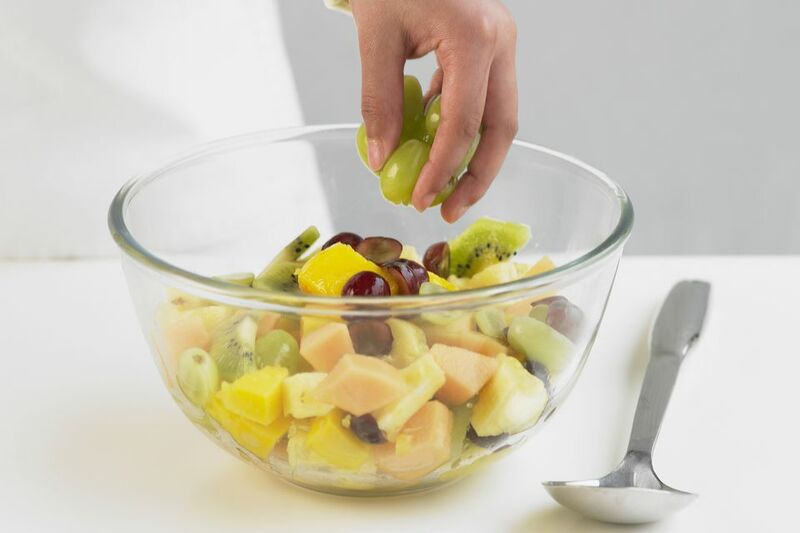 For another version of the salad made with more mayonnaise and fewer fruits, see this old-fashioned fruit salad. Combine cream cheese and 3 tablespoons whipping cream; add mayonnaise, lemon juice, salt, and sugar. Combine cream cheese mixture with fruit, pecans, and marshmallows. Fold ​the whipped cream into the fruit salad. Freeze in an 8-inch square pan or loaf pan.